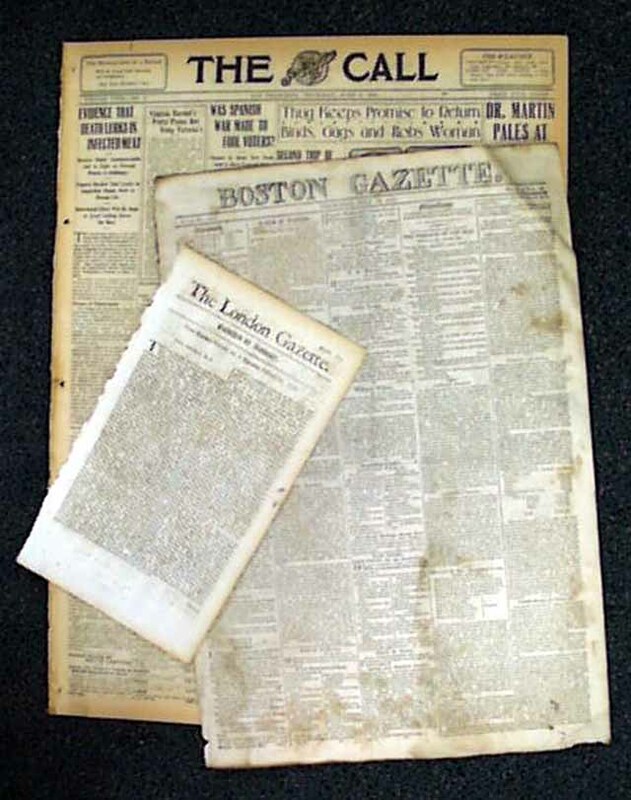 A Three Issue Set of Authentic Newspapers, one each from 1714, 1814, and 1914. The first issue will likely be from London. Considering the breadth of England's colonial reach, London newspapers/magazines of the day included a wealth of international reporting - and are great to have. The second issue will likely be from the U.S. The third issue will be from the U.S., but may be an illustrated issue such as Harper's Weekly (depending upon the fragility of the issues for the year selected). Are you looking for an extra-special one-of-a-kind gift for a newborn - one they'll cherish through their teenage years and into adulthood? Why not give them this set of 3 issues marking their birth-year through time? No other gift could provide the recipient with such a look into their past, while fostering a love for history and establishing an anchor to time. For an added touch, purchase a 2014 newspaper from a local newsstand (do this on your own) to go along with this three-century set. The images show the look and condition of the issues you will receive. 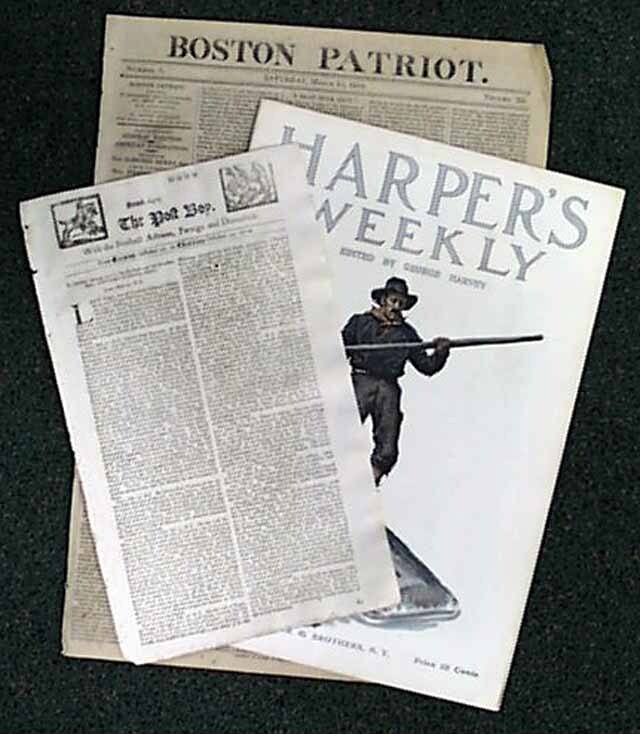 Actual issues and sets will vary, but will include an authentic issue from 1714, 1814, and 1914.